Theatrical communion is our goal. Theatrical communion is our goal. Founded in March 2011 by Marc Cabourdin and Wesley Ellul, this new company seeks to move the audience away from the position of spectator and into the new role of being a participant within theatre. 2017/18 has a number of surprises in store... stay tuned for more info! Somethings we are proud of. TAC Theatre boasts a wide range of events we have managed on a national scale during over the last few years. 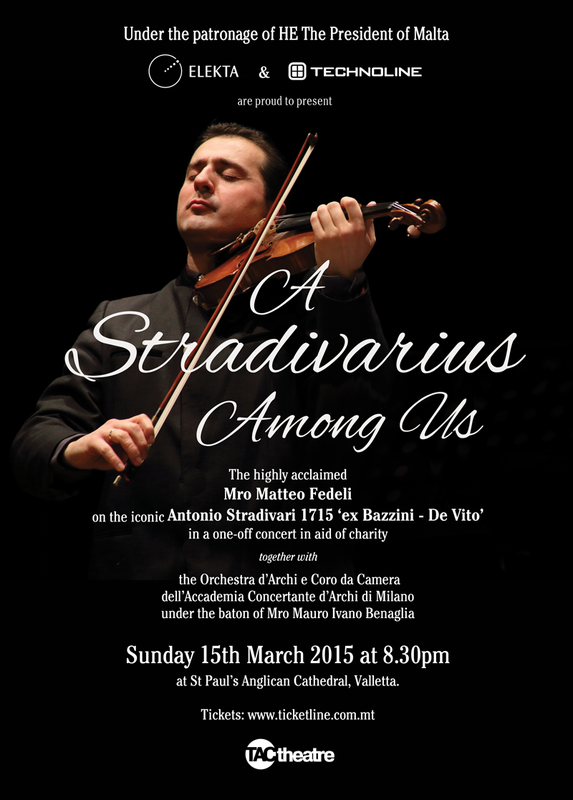 Browse through some of our past productions, and click on the image to learn more. 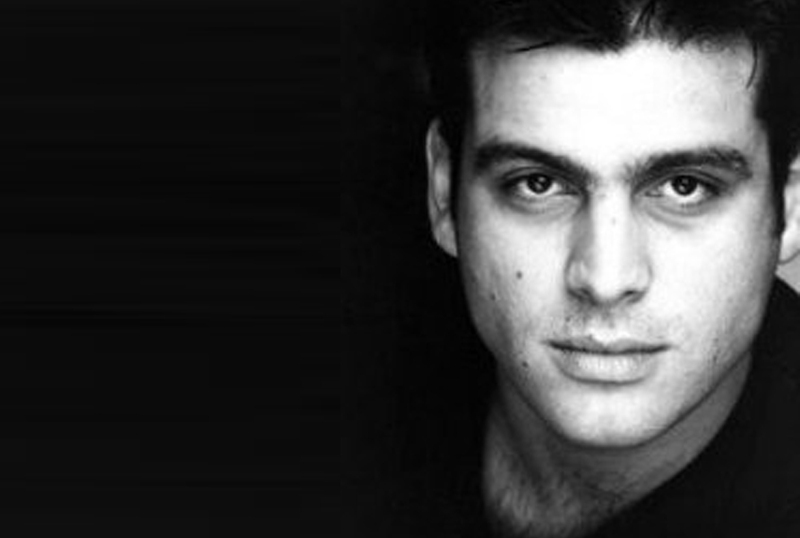 Marc began acting at the tender age of 14 gracing the stage of the Manoel Theatre, for the Christmas Pantomime “little Red Riding Hood” way back in 1990. 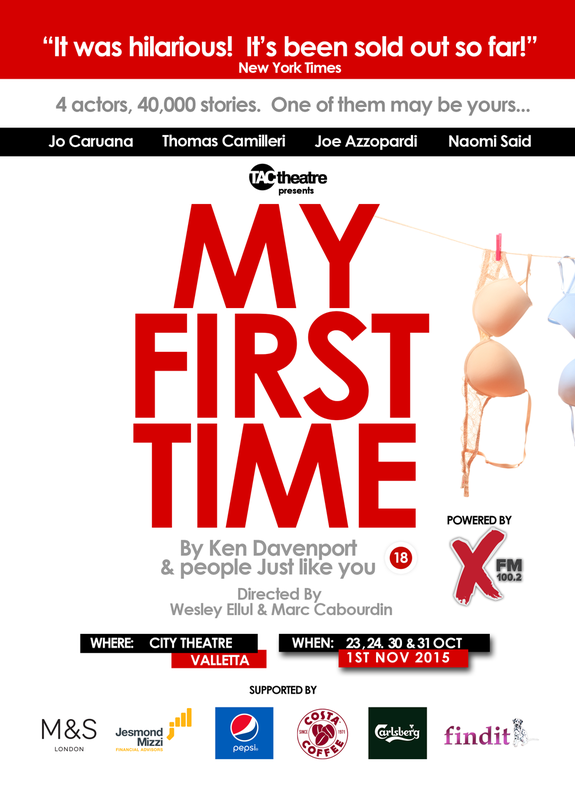 This was the first step in a long theatrical journey which saw him take on several roles here in Malta from the ever loved Danny Zuko in Grease, the seduced Nick in Who’s afraid of Virgina Woolfe to the football mad Degsy in God’s Official. 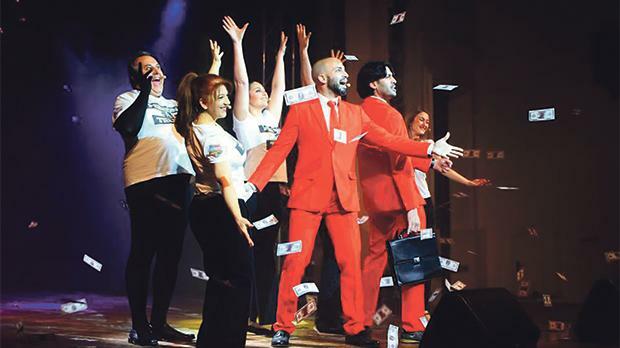 His love of theatre propelled him leave fair Malta and further persue his passion in the UK, where he received a MA in Acting from the East 15 School of Drama in London. 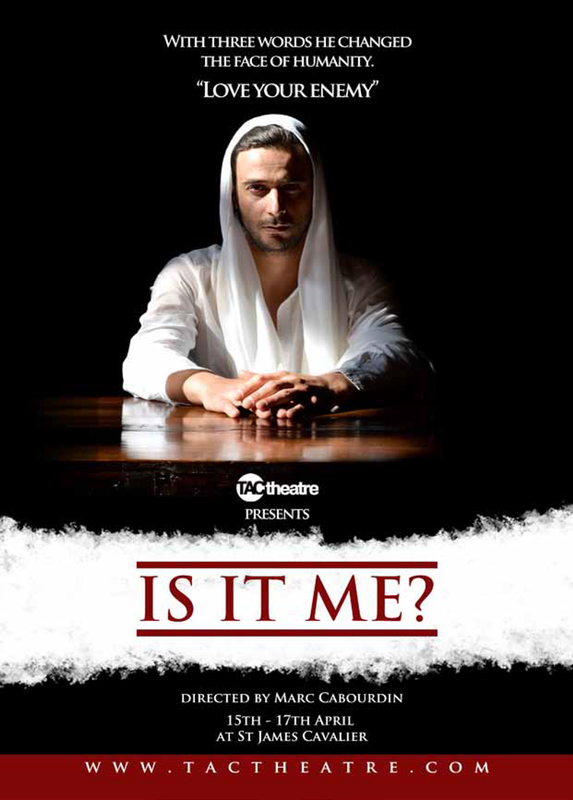 Following several roles in the UK including perfomances at The Royal Opera House, Buckingham Palace, and on the BBC, Marc has since returned to Malta to open TAC Theatre, whose projects so far include the critically acclaimed Is It Me? . 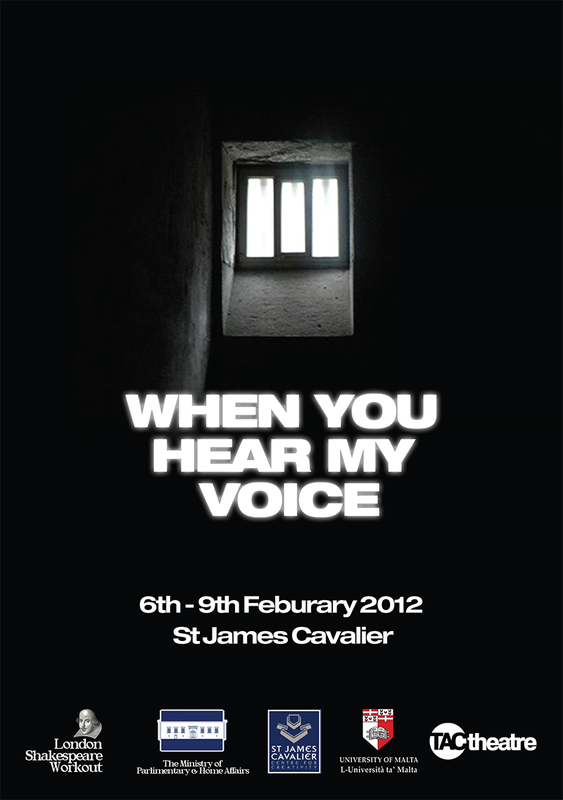 and most recently When You Hear My Voice Prision Out Reach Project with the London Shakespeare Workout performed at St James Cavalier. TAC Theatre seeks to produce and present theatre that engages its audience in being transported into the world of the artist, encouraging the communion between spectator and art. 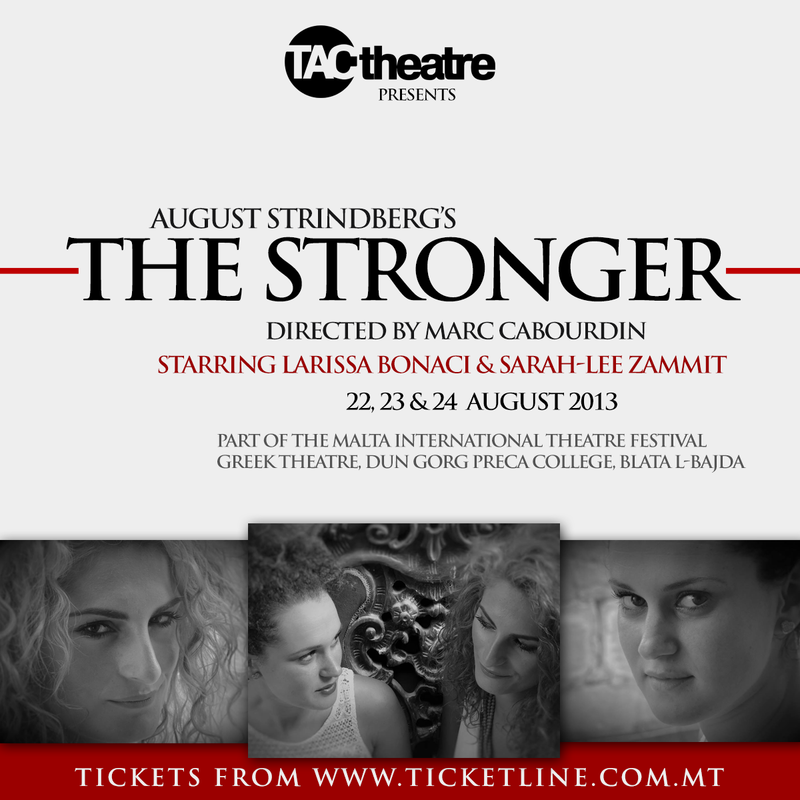 TAC Theatre is committed in producing works of the highest caliber, and creating long lasting partnerships with local and international related art partners. 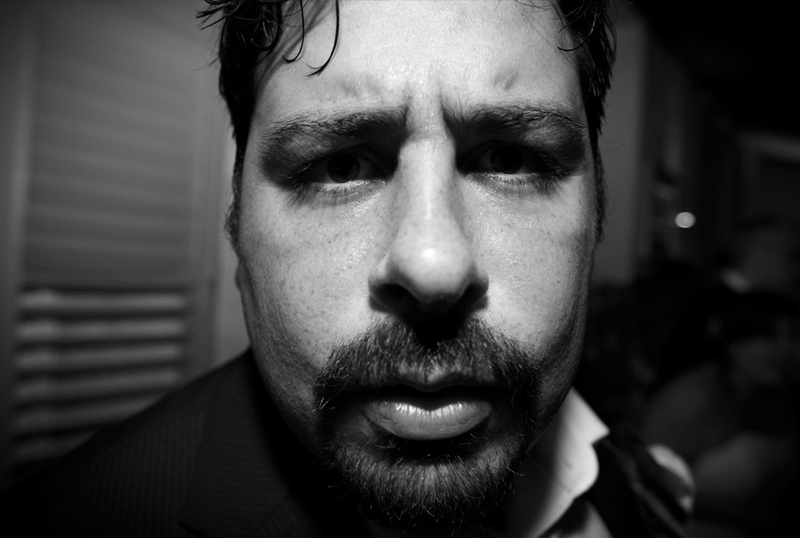 Wesley has been actively involved in the Maltese theatre scene for well over a 15 years, performing a variety of roles on stage and an even larger variety of roles of it, from sound engineer to artistic director of MADC. In 2002 he began is focus on directing and he has since directed a wide variety of pieces from satirical pieces like Edward Albee’s An American Dream to Robert Farquhar’s Bad Jazz, to musical theatre pieces such as Spring Awakening: A New Musical! More Recently Wesley’s has returned to his comic roots directing comedies for Mellow Drama including My First Time, Talk Thirty To Me , the Reduced Shakespeare Company’s All the Great Books (Abridged), and Lope De Vega’s Fuente Ovejuna. Beyond this Wesley also is one of the founding members of TAC Theatre, (Is It Me, When you Hear My Voice) and of Theatre Gone Wrong, creator’s of last christmas’ improv hit Dingle Bells, Malcolm Smells! Contact us as we are always looking to collaborate on new exciting ideas! And other ramblings from the world of TAC Theatre. While 2016 hasn’t been a good year for much of the world in general, it’s been a pretty great one for the satirical sphere. After all, with everything from the untimely demise of a perfectly healthy gorilla thanks to human stupidity and the election of one of the most powerful leaders of the ‘free’ world for pretty much the same reason, it’s little wonder that this year was the one which launched thousands of tears (and memes). If there are a few things which we can be eternally grateful for, I’d like to think that keeping good humour in adversity is one of them. 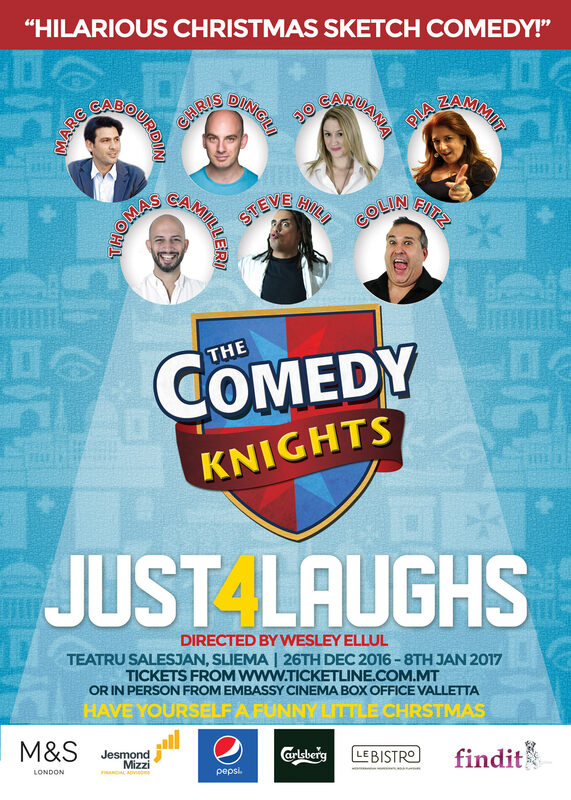 Indeed, with its rip-roaring and sometimes ribald comedy which is always fiercely relevant, it’s little wonder that the tickets for this year’s The Comedy Knights sold like the proverbial hot cakes. I want to start by saying the obvious, which is that unless your sense of humour is firmly in place and your tongue lodged in cheek, this show really isn’t for you. During the intermission when I was scuttling around looking for my friends, I did happen on one particular sour puss who was x’għarukaż-ing all up and down the length and breadth of the bar and to be honest, I’m not really sure why. 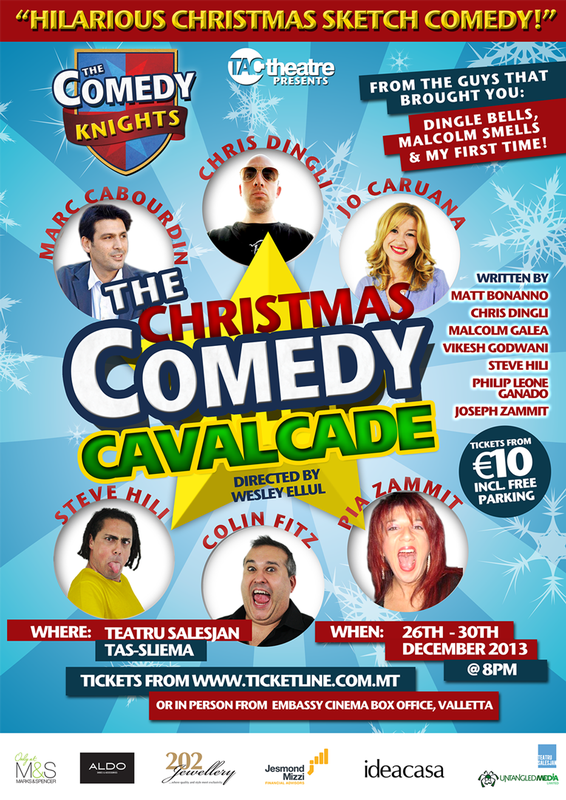 After all, going to The Comedy Knights and not expecting political references is a bit like going to Saudi Arabia and expecting to walk around the streets drunk wearing an itsy-bitsy bikini without drawing attention (and stones) to your person. So I suppose if you’re the type to still light candles in front of your politician of choice’s photograph like he were some Stone Age deity, you should give this one a miss and not post your complaints on The Salott. This inevitably brings me to one of my favourite sketches in the show, the aptly named ‘The Salott Support Group’. While I really enjoyed a lot of the politically themed bits, I felt myself a bit less susceptible to them than usual, possibly because of the barrage of the, frankly, horrific political happenings this past year has brought with it. ‘The Salott Support Group’ was particularly clever in my eyes because it really brought out the different characters that you encounter on this group of almost mythical status. Indeed, it had everything from the typical member deviating from the online discussion to talk about something completely unrelated to that one person that will without fail ask if Lidl is open every blessed Sunday. The script was not only cleverly written, but the characters were portrayed with great gusto. Further zest, or rather a lack of it, was what Steve Hili portrayed in ‘Maltese Waiter School’ where he gave foreign waitress Chantelle Micallef Grimaud a crash course in how to give silver service à la Maltaise. Not only was his rendition spot-on but it actually succeeded in making my blood boil slightly at the thought of all the positively bad dining experiences I’ve had pretty much once a week this year alone. Back on the stage was also a new episode of the ‘Sliema Girls’, played by the fabulous Jo Caruana and Pia Zammit. I have a special place in my heart for these sketches, particularly because they bring out the worst, or arguably best, of the stereotypical Sliema girls, but also because Caruana and Zammit are really able to give the part its nuanced depth. I suppose what makes it even funnier is the fact that I’ve actually been thrust into very similar conversations more times than I’m comfortable writing about. Of course, I cannot and will not talk about Pia Zammit without mentioning her side-splitting portrayal of the Prime Minister’s wife, Michelle Muscat. Not only has Ms Zammit succeeded in perfecting Mrs Muscat’s voice, but the way she has constructed the part she plays, complete with satin dressing gown and debatable henna tattoo, is truly something to behold. 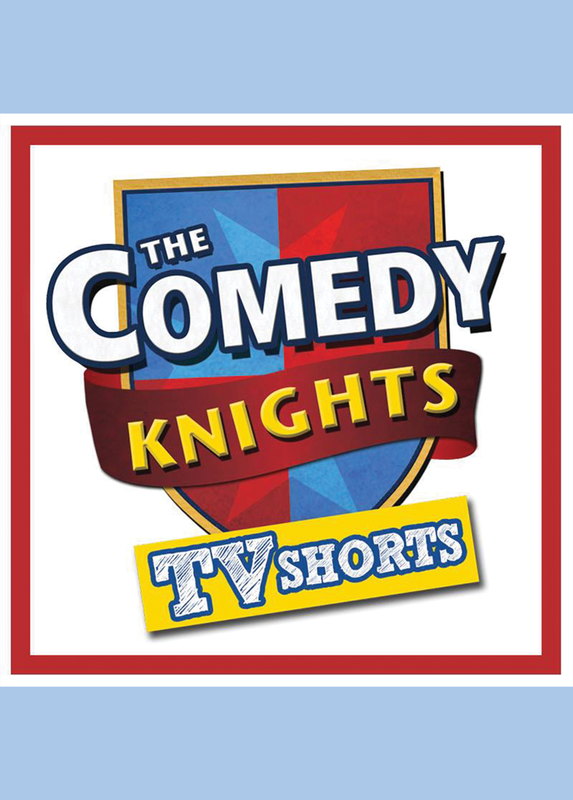 What makes The Comedy Knights so wonderful is the unflinching way the cast look into the sun and tell it how it is through the well-written and sometimes hard-hitting script. What’s more, they do it so eloquently and with so much gusto that even if you do disagree with the subject at hand, you can’t really fault them on the inescapable irony and well, tragi-comedy that the last year has brought. It’s been an objectively catastrophic year; if we can’t all at least laugh about it together, even if just for a few minutes, then what else is there left to do? It says a lot about any musical performance when the audience is still singing (or trying its darnedest to) the closing number as it shuffles out of the venue. That’s exactly what happened as I was making my way down the City Theatre’s narrow staircase after the final performance of Rock of Ages. Actually that also happened on opening night, and quite possibly, I’m inclined to believe, after every performance of Malta’s longest-ever running musical this summer. Having already reviewed the show’s opening night – in which review I had written I would be going back to see it because yes, it is that good – I obviously knew what to expect this time around, but that didn’t stop me from enjoying it as much as the first time. Going to the same musical twice is actually a first for me, an occurrence perhaps more significant because of the simple fact that, while being an avid music fanatic, musicals have never quite rated among my preferred go-to events. Indeed, apart from the local production of Rock of Ages, I’ve only been to a couple other musicals in my entire life. With this show however, I was immediately interested, lured in primarily by the music content… a steady stream of evergreen rock classics from the 1980s that I’m sure reignited some distant memories for a good chunk of the audience (this writer included, of course). Further to the music selection, having a live band onstage and in full view playing it was certainly a bonus. Its performance not only adding extra punch to the show, but serving as a convenient prop throughout. The thing is, the vibe that Rock of Ages generates starts way before the curtain goes up, or sideways in this case. Many might have taken the music selection playing in the background as people looked for their assigned seats for granted, but it was highly effective, subtly warming everyone up nicely for the actual performance and setting the tone for what was to follow. With the show getting rave reviews ever since opening night, expectations were probably at their highest on the final night. This may have piled on some extra pressure, I’m guessing, but not one iota of it was visible at any time, with the performers serving up a seamless delivery that effectively en-gaged the audience. They were pretty amazing on opening night too, but for this last show, the cast certainly sounded more confident, more entrenched in their roles without losing any of the natural flair necessary to grab the audience’s undivided attention. What else can I say about the show that I hadn’t already commented on in my first review? Chris Dingli’s Lonny was flawless and very, very funny; his narrative holding it all together onstage and niftily slipping into the occasional engagement with whoever happened to catch his eye in the audience. Nadia Vella and Kurt Calleja’s chemistry was clear as crystal, their singing spot on and nailing the primary love storyline to a tee. And speaking of love, I must also mention Lonny and Dennis Dupree’s unlikely romance, unexpectedly sprung later in the show and acted out with a good dash of humour a lot... yes, a lot of dry ice. Elsewhere, the sub-plots worked a treat too, thanks in no small way to apt performances by the characters involved – Steffan Cheriet Busuttil’s Dennis Dupree, Katherin Brown’s Justice Chartier, Errol Sammut’s Stacee Jaxx, Rachel Fabri’s Regina McKaig and of course, Colin Fitz and James Ryder’s Hertz and Franz Klinemann, the latter eventually turning out to be an unexpected hero of sorts. One must also not forget the supporting cast, who added much colour, energy, rhythm and sexiness to the proceedings, and the dedication of the creative team in the background, who along with the cast made the success that Rock of Ages has enjoyed these past three months truly a sum of all it parts. Thank you for the music, the fun, the entertainment... and don’t stop believing! Auditions Call:TAC THEATRE is having open auditions for our upcoming production of Rock of Ages on Saturday 12th and 13th March from 10:00 AM to 15:00 PM. Rock of Ages, by Chris D’Arienzo, takes you back to times of big 80’s bands, with big egos, playing big guitar solos, sporting even bigger hair! This five-time Tony Award nominated Broadway rock-musical features the hits of bands ranging from Pat Benetar to Styx; Twisted Sister to Whitesnake; Journey to Bon Jovi. This show contains adult content. 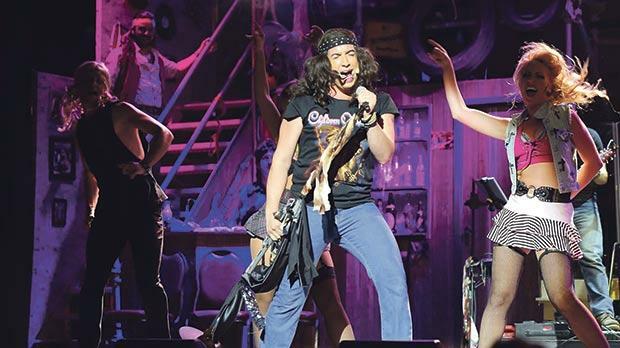 Rock of Ages is a TAC Theatre production. Auditions will take place at Teatru Dar Centrali, Herbert Ganado Street, Pieta on Saturday 12th and Sunday 13th March from 10:00 AM to 15:00 PM with callbacks on March 14th, 15th and 16th. Rehearsals begin in April 2016. The productions runs for 12 weeks June 28th thru September 14th 2016 at The City Theatre in Valletta. The Show will break in Mid-August. 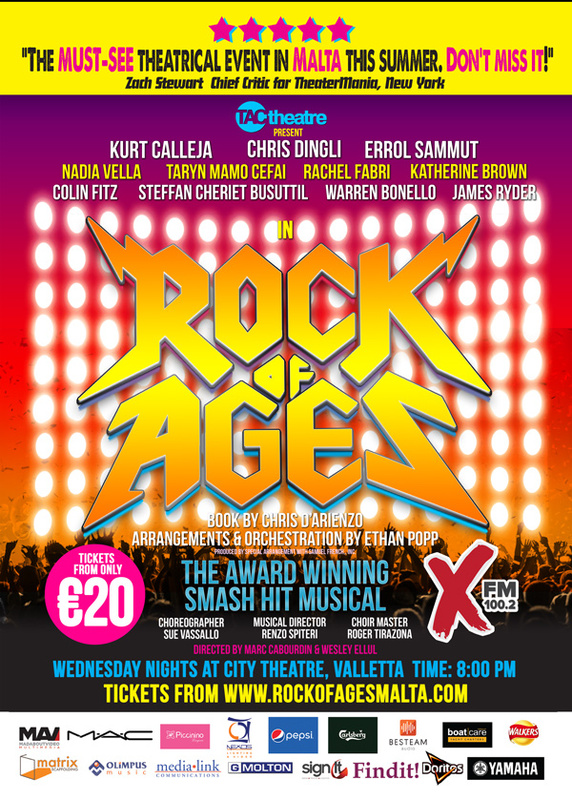 On the site www.rockofagesmalta.com you will be able to find out more info on each of the characters and also download audition sides for the character you wish to audition for.Auditionees are requested to prepare any 80s rock song of their choice, and are requested to email the backing music attached to their audition email. Due to the nature of the show TAC Theatre will not see any actors for "ROCK OF AGES" under the age of 17. Video Auditions are available to those players who reside outside of Malta as of the audition date. Kindly email your submission to auditions@tactheatre.comand include both your singing and acting audition, as well as any links to any video showing your dancing ability. 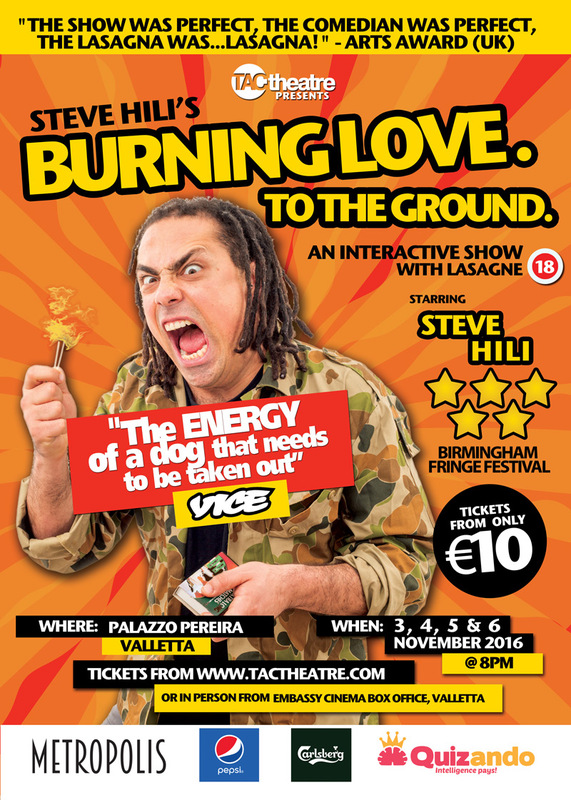 TAC Theatre presents Steve Hili Hot off his UK Tour of his 5 Star Rated comedy asking "What is Love?". 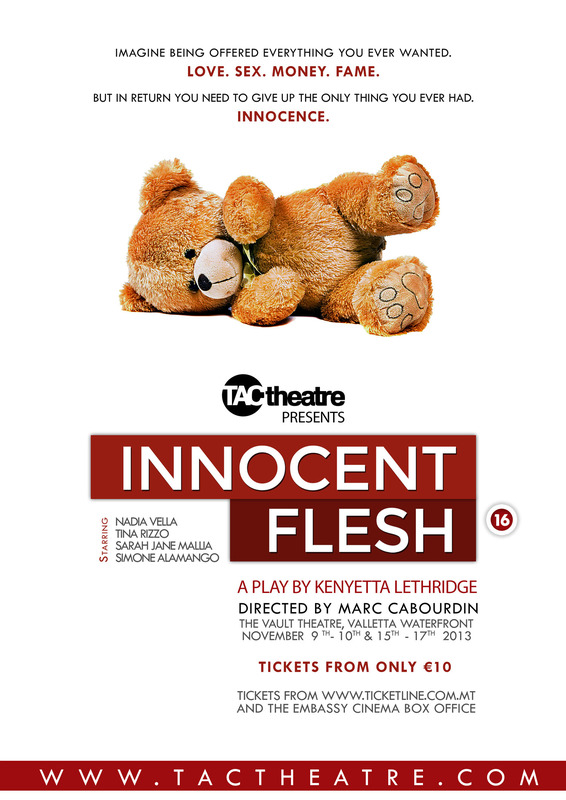 Click Here Buy Your tickets for this ONE WEEKEND ONLY RUN of the Hit Interactive Comedy! Steve Hili's five-star rated fringe show Burning Love. 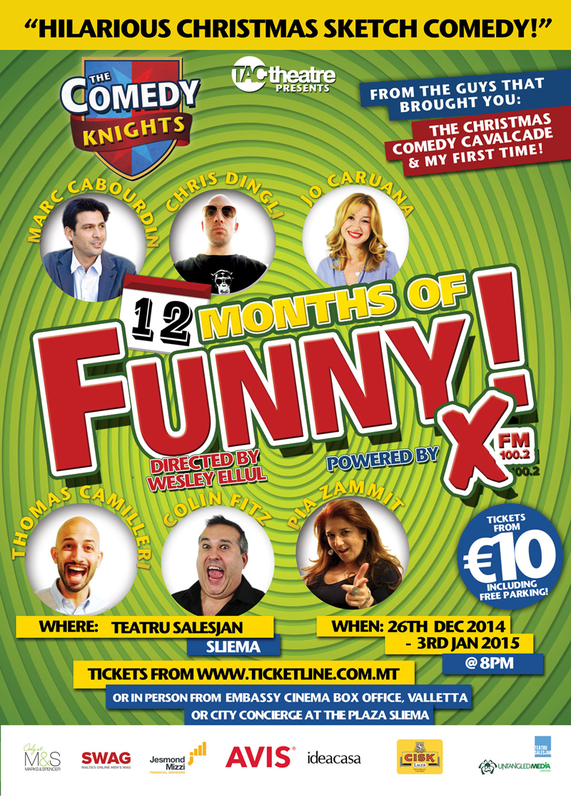 To the ground is coming to Malta! The comedy dubbed 'an interactive show with lasagne' was called'Perfect', 'hilarious and eye-opening' by review website Arts Awards Voice and in it, the London-based Maltese stand-up comedian takes on the notion of 'love' in his unique high-energy style with a frantic mix of real-life experience, naughty observations, dodgy science and his favourite food. Steve, who has been described by world-famous VICE magazine as having "The energy of a dog who needs to be taken out" explains - 'People have been asking the question "what is love?" since the beginning of history. So it was about time someone cracked it. Humanity can thank me later'. Lasagne plays a big role in the show - in fact audience members are offered some at the end, but that is not all. One of the most famous models of all time also takes part. Kind of. Burning Love. To the ground. is being produced by TAC Theatre, hot off the tail of their critically acclaimed summer rock musical Rock of Ages. 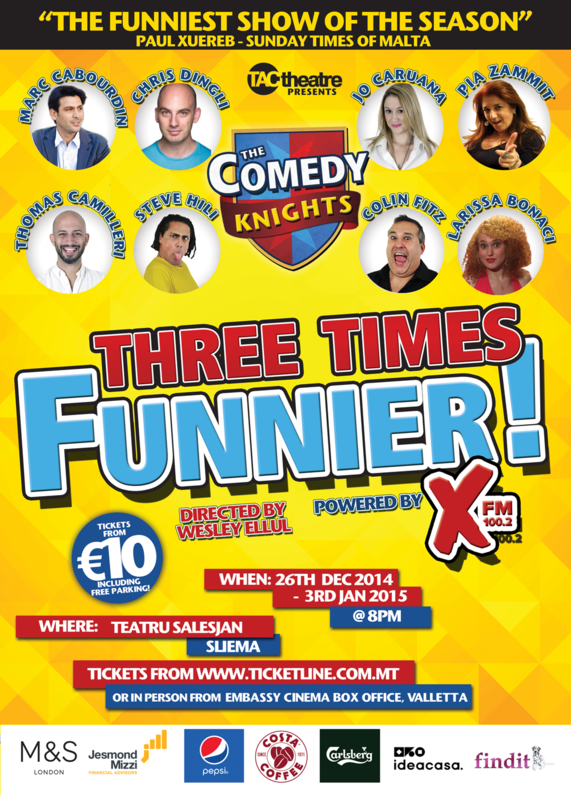 Producer Wesley Ellul said "producing Steve hilarious and insightful one man show was an absolute no-brainer. I'm absolutely sure Burning love. To the ground. will be a Will be a hit with local audiences not only because it will cause lols rofls and pmls but also it will leave them asking the question haddaway asked in the 90's "what is love?" What The Press Had to Say! “Hili delivered a show that was both hilarious and eye-opening...The show was perfect, the comedian was perfect, the lasagna was...lasagna. This exceeded my expectations, and you must see it ASAP.”. "Steve is a force of nature on stage. He is incredibly funny and draws on the events of the night, weaving it masterfully into his material. Laughter guaranteed"
Have a question, or Query? Want to Know more about Auditons,? Or Would like to sponsor, a show? Below you will find several ways of getting in touch with us. Get in touch quickly by dropping us a line, simply fill out the form below and we will get back to you asap! Find out more about the goings on on TAC THEATRE from www.facebook.com/TACTheatre. Quisque a ligula a metus gravida interdum. Nullam iaculis justo in tortor blandit interdum.